And look at this bag! I mean, how could I not grab it when I spotted it at Walmart? It is so stinkin’ cute. It has some of my favorite candies in tiny size and I could not live without it. 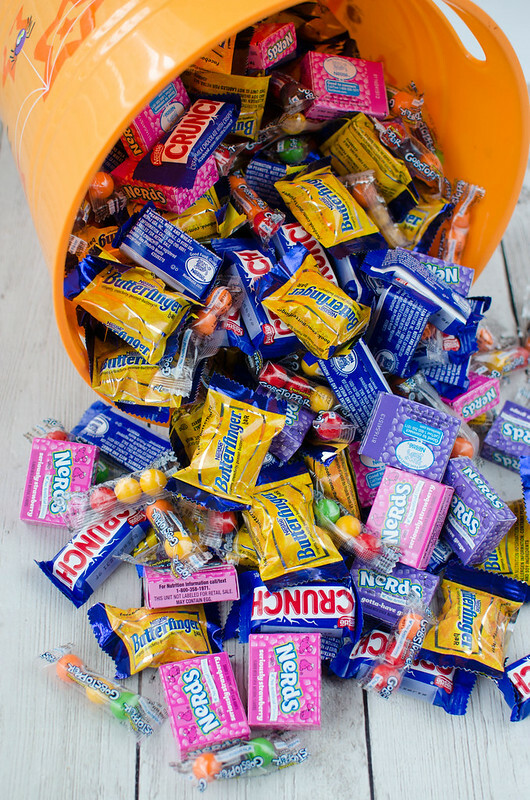 The new NESTLÉ® Assorted Jumbo Bag, 400 Count comes with perfectly sized Butterfingers, Crunch, Nerds, and Gobstoppers. Something for every trick-or-treater that stops by your house! 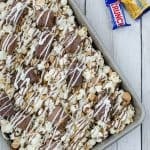 I heard a rumor that some people have leftover Halloween candy, which isn’t a thing in my house because I live with 4 boys, but if you are one of those people that have leftover candy, I’ve got the perfect recipe for you! 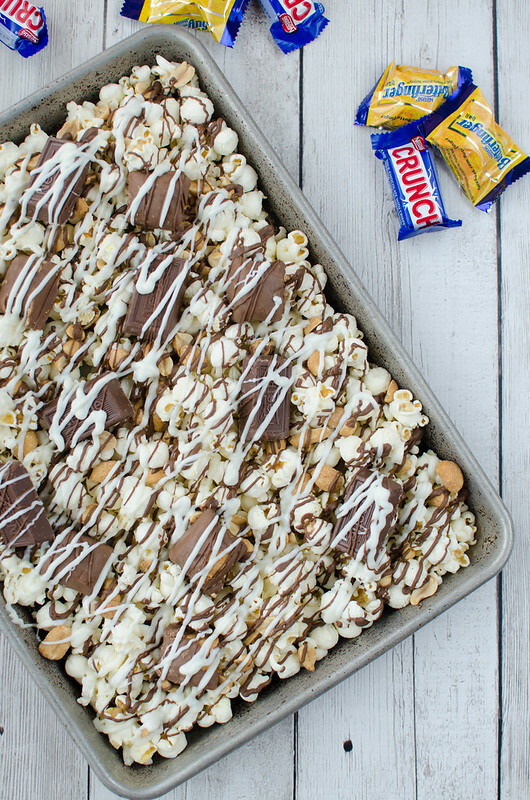 It is sweet and salty and would be perfect for maybe a scary movie marathon to end your Halloween season. 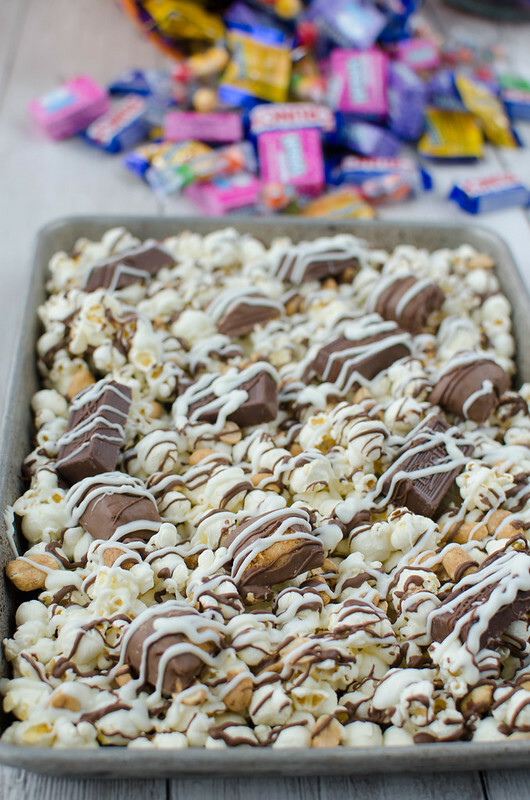 Just combine popcorn with some peanuts and the NESTLÉ® Halloween candy (just the chocolate ones! Eat the Gobstoppers by themselves!) 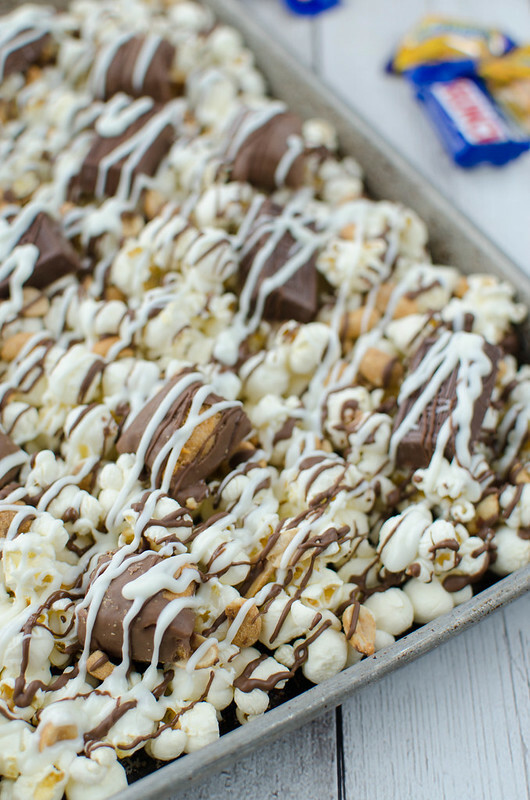 and then all of that is drizzled with melted chocolate and white chocolate. It’s super simple. The only real work is melting the 2 types of chocolate and I did that in the microwave. I also used zip top bags to do the drizzle – just cut off a tiny corner of the bag and you can get the perfect drizzle. 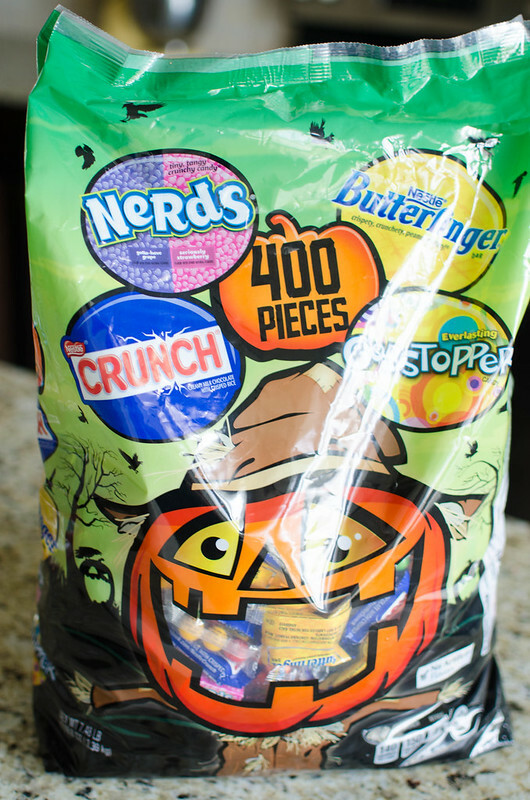 Next time you’re at Walmart, keep an eye out for this super cute bag of NESTLÉ® Halloween candy! Not only does it have some of my favorite candy, it also has a great price and have I mentioned that it’s so cute that I don’t think I can bear to throw it away even when it’s empty? 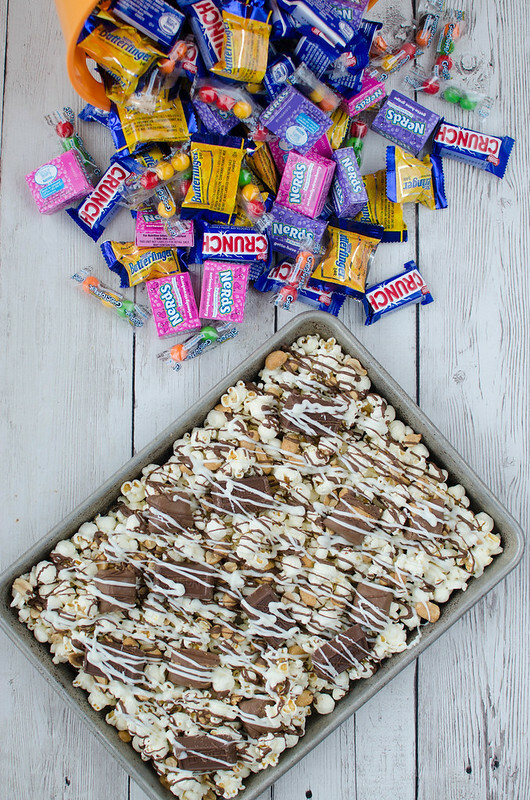 Combine popcorn, peanuts, and Nestlé Halloween candy on a baking sheet. Melt chocolate one at a time by microwaving for 30 second interval, stirring after each one. Once melted, transfer to a zip top bag and snip off a tiny bit of the corner. Drizzle over top.